Identity theft is on the rise these days so it is important to destroy your confidential information on time before it passes on to the wrong hands. Simple tearing of the documents by hand is not a secure method to protect your sensitive information. You need to have a reliable device to stop identity theft. Fellowes Powershred W-11C is a light duty shredder from a company that has 10 years of track-record and is apt for the people looking for a personal shredder. The shredder is compact, shreds material quickly and handles heavy-duty elements like staples smoothly. However, the manufacturer categorizes it as a household item and gives it a security level 3 rating making it suitable for the home and the office settings to get rid of sensitive information. Why it is the best product in the market? 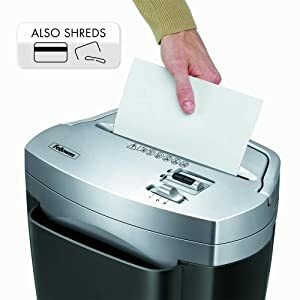 What makes this shredder different from other shredders available in the market? The shredder comes with crosscut feature and ensures optimal security over their sensitive documents because it helps to shred the documents in a fine manner, so it becomes almost impossible to put the back together. 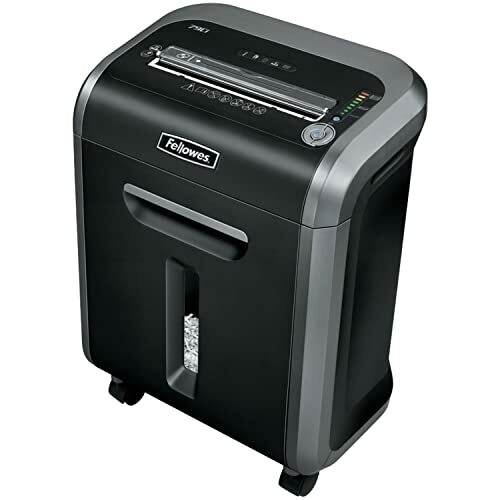 This security level 3 shredder cuts a standard 8.5″ by 11″ paper up into 400 bits making it a real confetti. The device is ideal for the personal home use of small offices at home. You can put an end to those credit cards, insurance or old medical bills, invoices and junk mails. Their 5-gallon capacity waste bin makes sure that you do not have the empty the bin often compared to other small models. 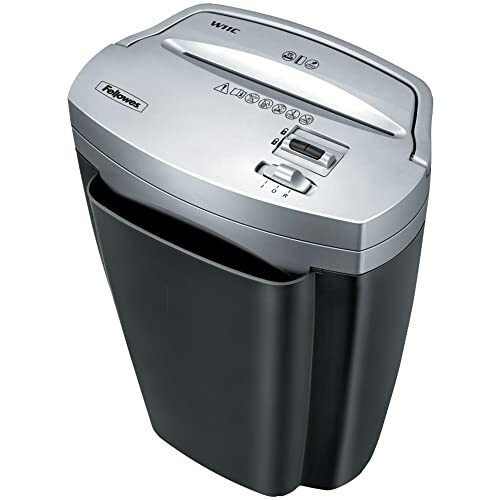 The key feature of Fellowes Powershred W-11C Cross Cut Shredder as opposed to other models offers timesaving qualities. An efficient paper shredder can shred up to 11 pages at a time thus, can destroy more than 880 pages in near about 5 minutes. A user-friendly device that helps you organize home and get rid of the old documents that have piled in home. A high quality shredder is appealing to their users who are eager to use daily. 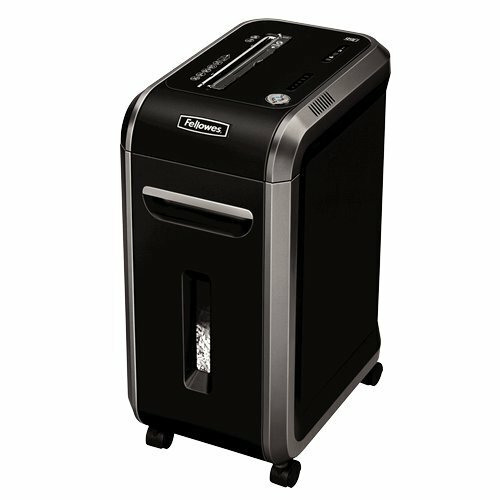 Fellowes Powershred W-11C makes sure it is a durable shredder and stand up over time. It has a powerful motor, less expensive, lasts for a long time, and works just as well as the other top line shredders in the market. Apart from the staples, the stainless steel cutter can easily bites through the credit cards. Fellowes Poweshred W-11C Cross Cut Shredder and their safety lock feature is one of the important components. Well, the Safety Lock feature is the ultimate companion for the moms who work from home with children. The device automatically shuts off and helps to avoid accidents if it accidentally gets knocked over. This also indicates that the motor unit stays properly in the seat on the waste bin when it runs, thus showing how powerful is the safety lock of the device. Just like any other shredder, you should regularly oil it to keep the teeth functioning properly. Every time you empty the bin to clear up, lubricate it. 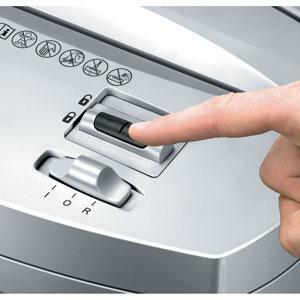 You need to put the shredder in reverse mode for one minute to loosen and clear the debris trapped inside. 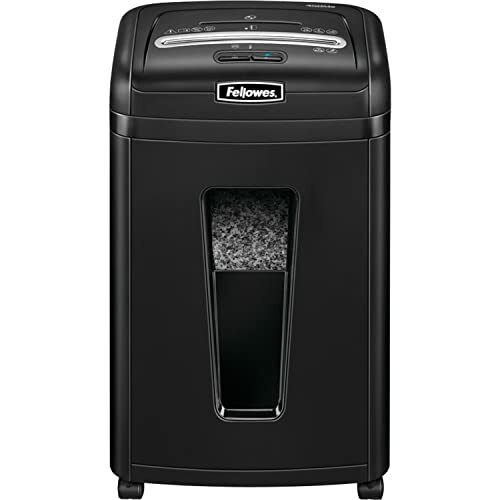 At present, there are more than 2500+ ratings on Fellowes Powershred W-11C shredder and 77 percent customers give it 4 stars. People like it mostly as it is able to shred through piles of paper without jamming or overheating. Most of the consumers complain about the unbearable noise of the shredder. Some have complained about the machine working in the reverse mode but not in the forward mode. Fellowes support team has acknowledged the issue, which was due to a dirty broken mechanical sensor. It is a high quality shredder for the home and personal use. It is helpful for the small offices at home even for the moms who work from home. 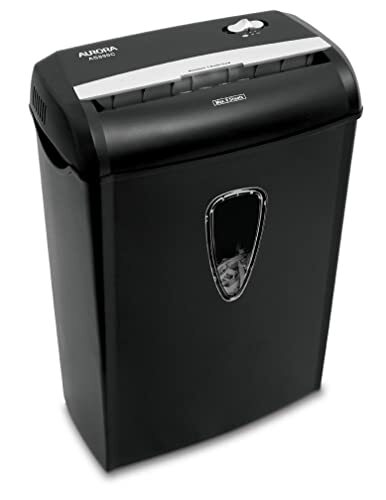 It is a reliable shredder with security level 3 and highly safe for the children and pets as it comes with a powerful safety lock.